Chimney cap is made of stainless steel and is designed to twist-lock on to the chimney pipe. 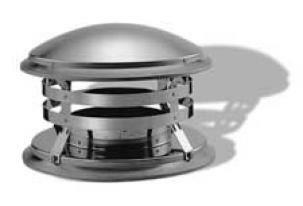 Chimney cap is assembled with removable screws that provide for cleaning the spark arrestor screen. Spark arrestor screen NOT included.